Many readers of this chapter have heard before that when selling expensive products or what are known as “big ticket” items, time is the enemy of closing the deal. When it comes to megayachts, I think that’s especially true. Sometimes, but rarely, there’s a sudden buyer’s or seller’s remorse to block a transaction, or a yacht under contract may be damaged, experience a time consuming mechanical problem or if the closing drags on too long, enter a totally new market or economic condition which could affect the agreed upon sales price, financing options or even the deal. From the moment a buyer and seller agree upon price and terms, an uncomplicated closing can easily take 30 to 60 days, more than enough time for any of the above problems to occur. A complicated, multi-yacht transaction, can take much longer by the time multiple surveys, sea trails, sales contracts, etc., are completed. A broker’s professional relationships with supporting team members can be of great value in closing the transaction quickly as is illustrated in the following example. Recently my office took a Central Agency listing on a 128’ tri-deck motor yacht of Northwest pedigree and secured an acceptable offer from a buyer offering his 114’ motoryacht as partial payment. Not one yacht, but both yachts had to be hauled, surveyed, sea trialed, insured, etc. 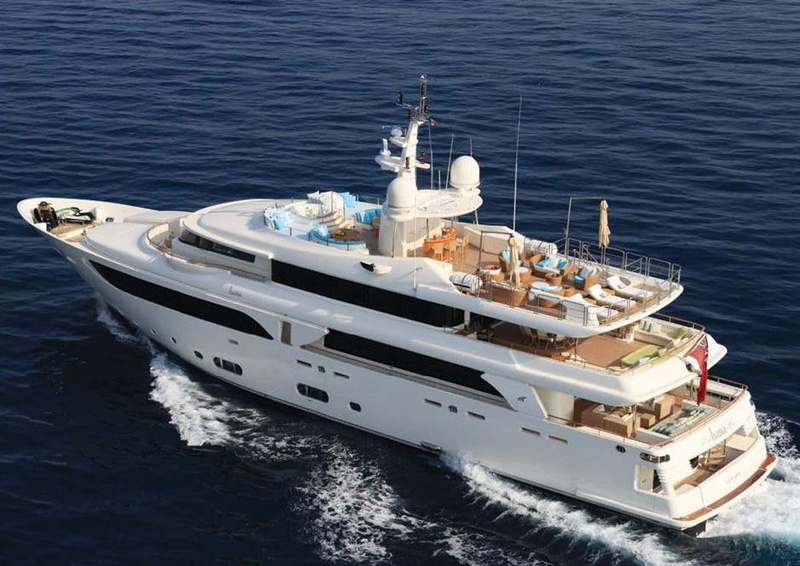 Both yachts were in southeast Florida and the transaction was begun in early January, the busy time for the megayacht industry when haul out schedules are booked weeks in advance, as are surveyors and other professionals. Because of my firm’s many year relationship with Bradford Marine of Fort Lauderdale, the yard was able to insert the larger yacht into their haul out schedule with only two days notice, haul the yacht for inspection and re-launch it late the same day for sea trials the next day. The surveyors also adjusted their schedules to accommodate the short notice. The yard manager of Rybovich in West Palm Beach, a 20 year professional colleague, did the same with the vessel offered in trade - insert into busy haul out schedule, out of, and back in the water the same day. Unfortunately, the following day during sea trials, the surveyors discovered an engine problem, which they diagnosed long after usual business hours. Repairs were completed and a successful sea trial completed the following day. The surveyors completed their reports over the weekend for final review, and acceptance of both vessels was confirmed. With both acceptances in hand, I called a trusted maritime attorney and long time colleague at home on Sunday afternoon to modify the purchase agreements. I contacted the Documentation Agent to prepare the Bills of Sale and Powers of Attorney, and organize for a simultaneous two vessel closing, one in Freeport, Bahamas, the other in international waters. The entire process from the original purchase agreement to the successful dual closing, took less than 30-days. This would not have been possible without the tremendous cooperation of all parties involved. These efforts by all were above and beyond what would be required on a "normal" transaction, but I would like to think that the 15-20 year relationships that have been created, and that I value, helped produce this successful outcome for both my buyer and seller.